/ How To Remove Sink Stopper In Three Steps? You may feel reluctant about the article after reading the title and may try to neglect it. But for the readers who have faced any such issue will definitely read this till the end. If you have come across the problem of the blocked sink stopper you may easily feel the difficulty it may create for anyone. Every house owner has his own experiences with the plumbing related issues and understands the importance of these tricks. Removing the sink stopper can even perplex the civil engineers that have ample knowledge about the building construction. This is one of the typical issues that can leave you helpless in your own house. In this article, we will give you the better tips and the knowledge that will help you in removing the sink stopper within three simple steps. These tips will help you to get rid of this problem within no time. The blocked sink stopper clogs the drainage and overflows the sink area. This can be easily checked without calling the plumber. To remove the sink stopper for cleaning the sink drainage you must know the basics that help in opening the stopper and cleaning the drain pipe. Along with this, you must have the necessary tools for this. This is important to understand the trick that is used to remove the sink stopper. Most of the sink stoppers are made up of metal rods with push and pull arrangements, but this gets difficult when the stopper is in use for a longer time. It easily gets jammed and creates difficulties for you. Mostly the house owners have the set of basic tools that are required frequently for completing the household chores. In case you don’t have a toolbox you need to get a few tools that include; an adjustable wrench, and a screwdriver and a slip point pliers. The adjustable wrench is used for gripping the stopper nut and the screwdriver is useful in pulling the stopper out of the valve. Apart from this, you must have the sealant and the plumber putty for sealing the pipe again. Thus, to remove sink stopper you must collect these tools before moving to the next step. Now comes the actual learning part that will help you in getting rid of this problem in just a few minutes. While you may though that nothing seems to be wrong from the outer side and even the lever may also be working, but there are internal issues that block the sink stopper. The internal parts of the stopper may be broken or get rusted that prevent it from working and clogs the drain pipe. The first step is to get the idea about the issue which you may have only after opening the faucet associated with stopper arrangement. So you need to find the reason for the same. First of all, you must stop the water supply to the sink before opening the assembly. This will save you from spilling the water on the floor. Along with this, you must remove all the items that are placed in the cabinet below the sink. This will give you ample space to work. Most of the sinks are having the assembly with the plunger rod that is located perpendicular to the assembly of the stopper valve. You need to find the plunger rod and then remove it from the clip arrangement that holds it to allow the water to flow out of the drain. This helps in releasing the stopper P-trap in the assembly. Now you need to find the nut at the assembly. You may try to open the nut by hand, but if it is jammed you may need to open it with the help of the adjustable wrench or the slip point pliers. After opening it you shall hook up the clip that is holding the plunger rod to free it from the assembly. This will let the plunger rod come out of the assembly easily. Once the plunger rod is removed you may easily reach the stopper in the assembly. Just pull it out to clean. In case you find the stopper is broken that needs to be replaced. In such cases, you may require replacing the entire assembly. But if it is in perfect position, then just clean it and re-fix it again. You shall remove all the accumulated debris and the depositions from the sink stopper unit. Sometimes hard water depositions are also cluttering the stopper unit this can be removed by rubbing the stopper by sand paper or putting it in milder acidic water for a few minutes. After cleaning it properly, you shall fit it again in the assembly. For re-fixing the sink stopper you shall repeat these steps that you have followed in removing the stopper. 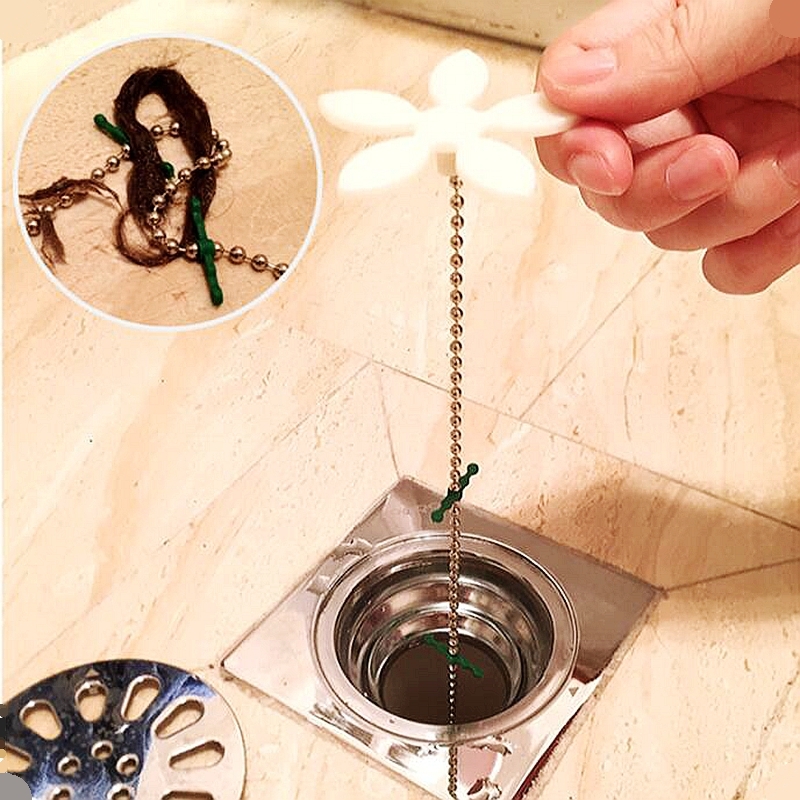 In this manner, you may easily clean the sink stopper after taking it out from the assembly. The steps that we have learned in the article are quite simple and anyone can easily carry out these to clean the sink. This tutorial is aimed to offer you the knowledge about how to remove sink stopper in just three steps. The clogged sinks are really havoc for the house owners and one need to call for the plumber to get it fixed. This not only costs you some extra bucks but you also have to wait for the plumber. Sometimes it can really become difficult and may also put you away from the work or office to get the issue resolved. After going through the article you can easily learn that removing the sink stopper is not a great deal and you may easily do it in just three steps.